An Automated Document Inserter (ADI) is a machine which fully automates the printing and insertion of documents into a box/case. 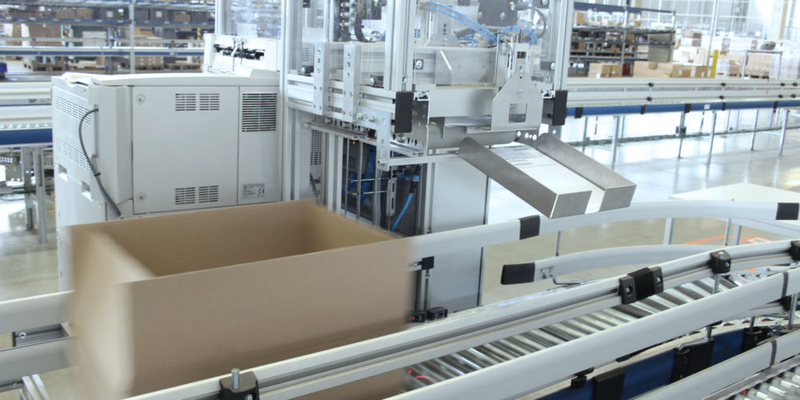 Automation of document printing and insertion offers another opportunity to of improve packing throughput and labor efficiency. The manual placement of documentation is a labour-intensive operation and one that is subject to error. Ideally, your packers should be fully focused on order accuracy rather than having to worry about correct and complete document insertion. An automated printer and inserter, such as the ADI, can print customized company documents – including manifests, invoices, operating instructions and return information and labels. After printing is completed, documentation for that order can be folded to A5 size and inserted into the box. The machine is capable of processing up to 400 inserts per hour, depending on the number of pages per insert. Every order is scanned and verified to ensure that the documents are printed and inserted correctly.